Vickie Milazzo Institute is the authoritative resource center for registered nurses seeking to explore the field of legal nurse consulting. As the pioneers in this booming profession, the Institute is dedicated to revolutionizing nursing careers one RN at a time. Founded by Vickie L. Milazzo, RN, MSN, JD, Vickie Milazzo Institute is the nation’s oldest and largest legal nurse consultant training institute. Nationally recognized by attorneys, the CLNC® Certification is the official certification of the National Alliance of Certified Legal Nurse Consultants (NACLNC®). A successful legal nurse consultant since 1982, Vickie L. Milazzo, RN, MSN, JD has reviewed thousands of medical-related cases. She attributes her success solely to the step-by-step Success System she developed. It is from this extensive experience that Vickie Milazzo Institute created the most comprehensive, award-winning CLNC Certification Program in the industry. 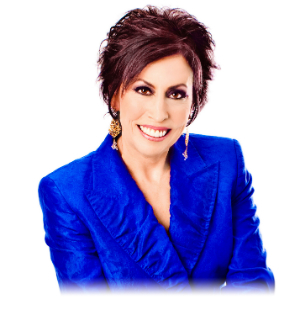 Inc. Top 10 Entrepreneur of the Year – one of the top 10 entrepreneurs in the U.S.
Not only is the Vickie Milazzo Institute the nation’s oldest and largest legal nurse consultant training institute, we are also the only publishing firm devoted exclusively to this field. We offer the most complete and thoroughly researched professional CLNC Certification available – the critical ingredient for your success. As the leading innovators in our profession, Vickie and the Institute are the first to provide you with the newest developments in legal nurse consulting. Vickie wants you to succeed. That’s why she developed the CLNC Mentoring Program for all CLNC consultants and Institute students. She has handpicked the most successful CLNC consultants in the country to guide you every step of the way to CLNC success. Other programs give you information, then leave you on your own to figure out what to do with it. At the Institute, we guarantee our relationship actually intensifies once you are certified and ready to get started. Hands down, our CLNC Mentoring Program has proven to be everyone’s favorite benefit. Vickie Milazzo Institute is accredited with distinction as a provider of continuing nursing education by the American Nurses Credentialing Center’s Commission on Accreditation. As an ANCC accredited provider, Vickie Milazzo Institute was awarded accreditation with distinction – ANCC’s highest honor. The CLNC Certification is the official certification of the National Alliance of Certified Legal Nurse Consultants (NACLNC), the nation’s largest association of legal nurse consultants. 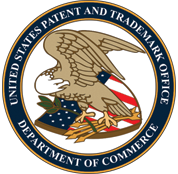 The CLNC Certification is only available through Vickie Milazzo Institute and is trademarked by the U.S. Patent and Trademark Office. It is recognized by attorneys nationwide.